I did not go out and take the bus to San Francisco and witness the celebration in the Castro after the Supreme Court rulings. Mind you, I love a good demonstration, but since a friend asked me to march in the Pride Parade on Sunday, I thought one mob scene was enough for the week. Facebook went all rainbow yesterday with many messages from straight friends. While I feel the love, I don’t really feel the euphoria. Perhaps this is because the day before, the Supreme Court voted 5-4 to eviscerate the voting rights act. Eventually we will win on that front, because, as I have written before, the numbers are on our side. The White Empire will go away. Recently we went to see Fran Lebowitz speak at City Arts and Lectures, and then we watched her film Public Speaking. As she points out so succinctly, why do we as gay people want membership in two of the most subjugating and hateful institutions invented by man, the military and marriage? Indeed. Kate Kendall brought up that very point about marriage in her speech at the recent National Center for Lesbian Rights dinner in San Francisco. We want the choice, she said. 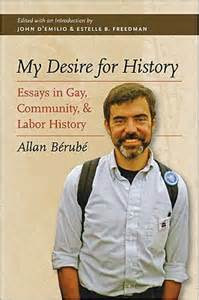 The late Allan Bérubé, author of Coming Out Under Fire: The History of Gay Men and Women in World War II, which contributed enormously to changing "Don’t ask, don’t tell," told me sometime in the 1980s that after that military exclusion was defeated, it would be far easier to obtain other civil rights. He was prescient. I wish that he had lived to see these victories. I remember his intensity—his mixture of seriousness and humor. 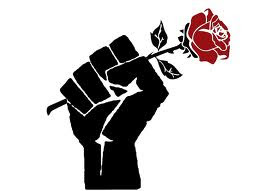 I think he fought with love, radical love, to borrow a phrase from Dorothy Day. Most of my extracurricular thoughts these past few weeks have been about Edward Snowden and what he has revealed to all of us. His video interview with Glenn Greenwald is nothing short of spellbinding, in part because he is so straightforward, so rational. I think he is going to turn out to be a great hero (or an incredible double agent!). In future posts, I will talk about other aspects of this story, but here I want to pick up on how Snowden said that he knew he would give up a comfortable life by revealing this information. My fear is that now, as barriers for LGBT people come down, we as gay people may opt for an isolated comfortable life, not the radical life. It is no mistake that some of America’s largest corporations led the way in terms of benefits, recognition, and nondiscrimination policies. It was not altruism, it was profit. After drag queens and radicals locked the cops inside the Stonewall Inn on the night of Judy Garland’s death, the Gay Liberation Front and early advocates for queer civil rights were often made up of a ragtag group of marginalized people. Over time, as lawyers broke down barriers, it was safe for corporations to openly hire queer people. Younger corporate leaders realized that most gay folks did not have families (at that time anyway!) and were creative, well educated, and motivated to excel (for a bevy of complex emotional reasons that are explored in every gay writer’s memoir). In other words, they made productive employees. 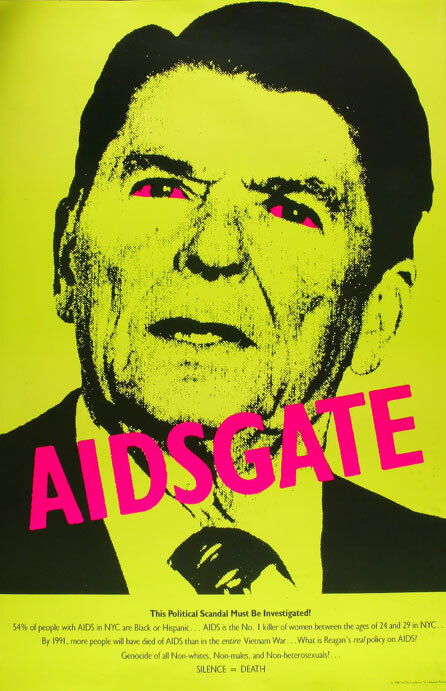 If it hadn’t been for AIDS and the need to organize to get the homophobic Reagan Republicans to wake up, we might have lost any commitment to radical action. The hateful nature of the enemy kept us from being co-opted by our growing bourgeois lifestyle. Of course, that was because many of us lost those very comforts as we took ill. ACT UP saved lives as well as our radical spirit. 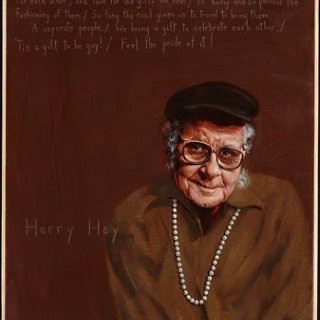 This radical focus was what Harry Hay talked about when I saw him speak at the opening of the documentary Hope Along the Wind: A Life of Harry Hay shortly before he died. 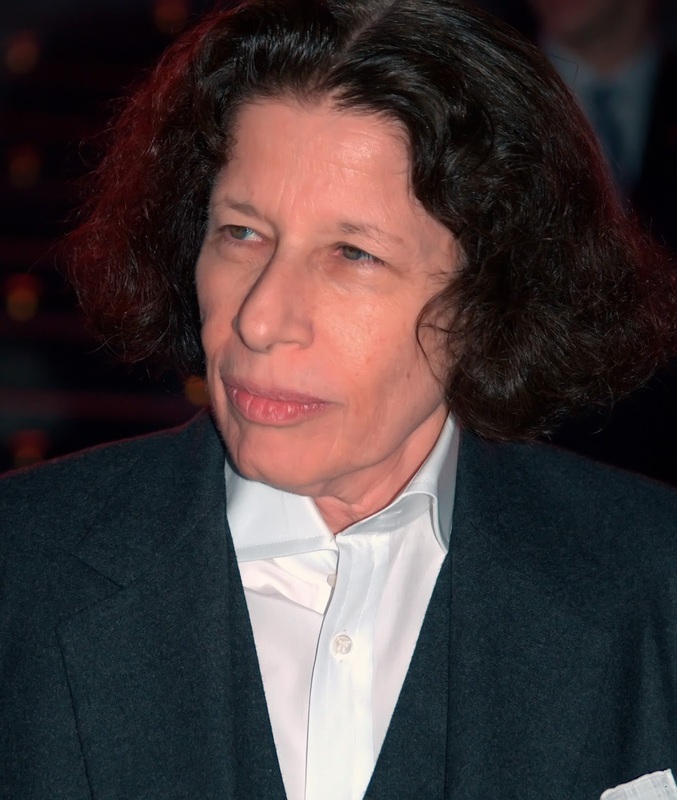 He told the audience that to be gay was to be radical and that we must not lose our outsider status. I think of him again today. This is why we shouldn’t dance too wildly while the Supreme Court takes away the rights of voters and the U.S. government tries to take away our rights through the promotion of the corporate warfare state. Let us use our history as subjugated people to keep advocating for freedom and democracy. Let our love keep us radical. Wonderfully written.. You took the words right out of my mouth.. You really said it 100x better then I and formulated what I've been feeling.. GOOD ONE Darlin..
You are so right in so many ways, thanks for this. But you forgot to mention how machismo and discomfort with the "other" got Julia Gillard booted out of the PM chair in Australia this week--no unmarried, atheist woman who lives with a male hairdresser is going to be allowed to rule too long. As an Aussie American who lives in the gayest part of Sydney, I have to tell you that this is only partially true about Gillard. Machismo and religion are much less intense here here compared to the US. Most of us gays cannot stand her simply due to her childish and self-destructive middle school rants. I, like many others, would not support her because she opposed marriage equality against the conscience of her own party. This is quite odd because Australia is so much more culturally evolved, fair and supportive than the US on marriage equality due to it's lack of religious fervour and strong culture of "mateship". She could have used the issue to garner support - currently 63% of Australians would vote for a PM who backed gay marriage. What a timely, thought provoking post Kenny. I opposed marriage on philosophical grounds until very recently. But marriage is no longer the institution it was even just a few years ago. Today, marriage is a union of two unrelated persons who are situated as legal equals, a far cry from what it was even in the 1980s. It's means of creating legal kinship between unrelated people. And it's bound by consent, not social constraint. In the 1950s, most people in the US believed that bachelors and spinsters were probably mentally ill. Today, more than 50% of the adult population is single. I realize that it's not politically expedient to point out that marriage has changed so radically, but it has. After all, we queers are being blamed for attempting to do just that. I would argue that no-fault divorce was the engine of this change, but that's a point likely lost on the teabangelicals who are so determined to keep us out of the institution. 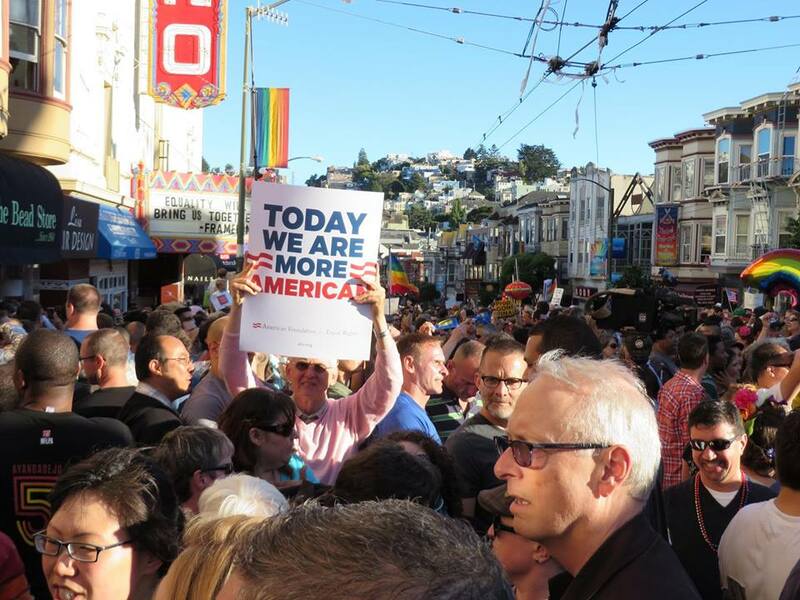 But it's just as important to recognize that even with the overtones of assimilation and mainstreaming, the marriage we've fought for in the past decade is not the one we grew up with. So true Kenny. And I always tell any oppressor that all humans deserve dignity. No one can argue against that issue.